Since becoming a mother, each special occasion is so much more special to experience… because I get to watch it through the eyes of my children. The joy, the wonder, the excitement… it all is so very heartwarming! 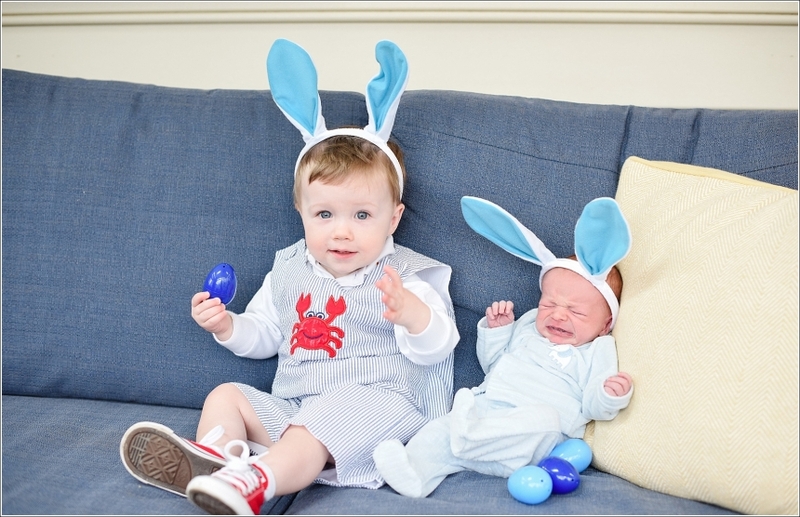 This year, Easter was extra special because Thomas has now joined our family. Also! My brother, his wife, and their 3 kiddos recently moved from New York to be back in Richmond so watching all 5 cousins together is such a blessing. Easter was a fun-filled day for our family. 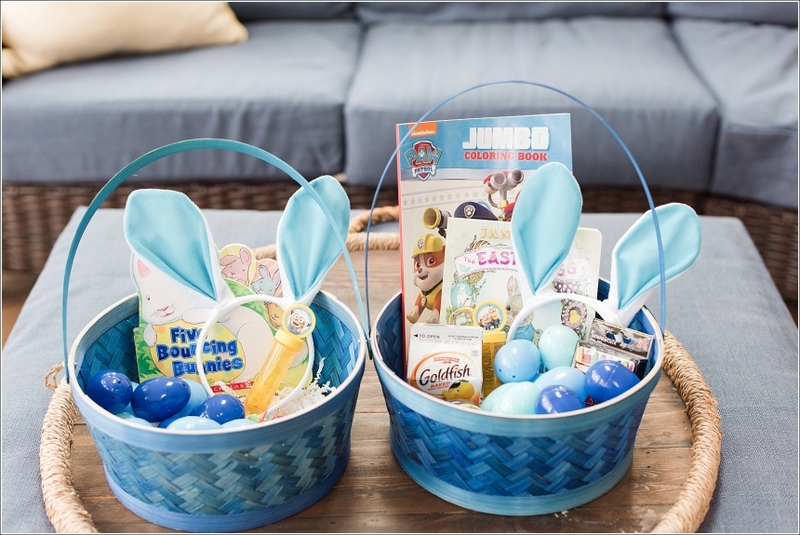 It started off with Michael digging through his (and Thomas’s) Easter baskets. Our family took over an entire row at St. Mary’s Church and surprisingly all 5 kiddos behaved (!!). Afterwards, Ryan and I hosted a delicious lamb dinner at our house and the cousins played in our recently renovated backyard. The Easter bunny even stopped by for a visit just before we had an Easter egg hunt and backyard dance party (to the Moana soundtrack, of course!). 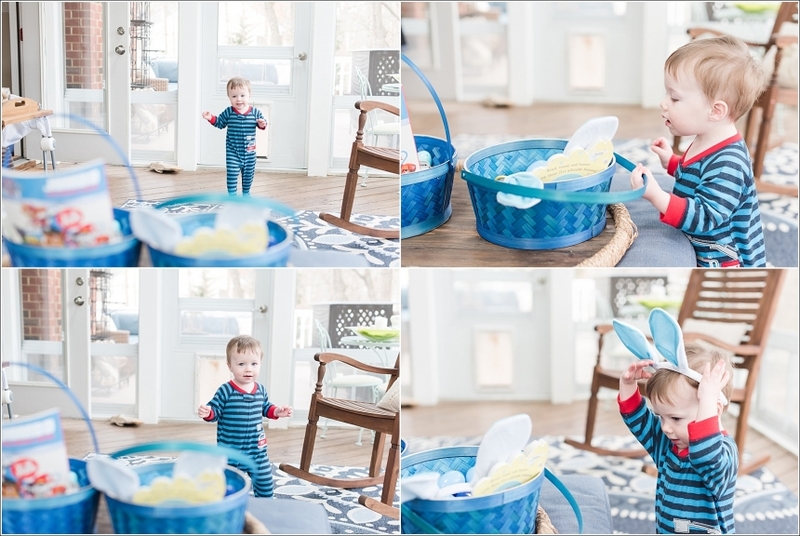 Michael’s Godmother, Emily, dropped off the sweetest Easter basket filled with bubbles, candies, and other fun surprises! It most certainly was a full day of making special family memories! So very thankful for our many blessings. Michael’s first time meeting the Easter bunny! Michael’s outfit was a size 2T but I couldn’t resist the cuteness!